The “Compoline” range of grafted products is used in a wide range of different sectors, from adhesives for multilayer pipes, to coupling agents for HFFR compounds, to impact modifiers and more in general for polyamides and other technical polymers compounding. ”Ecoline” is a high-performance hybrid material that combines unique thermal properties with a high chemical stability against oils, greases, fuels and various aggressive chemical compounds. It is used in the automotive industry for the production of flexible tubes and for the production or coating of underhood cables, as well as in the Oil & Gas and power industries in general. Linewood additives are a range of coupling agents specifically designed for the Wood Plastic Composite sector(WPC). Even at low dosages, the Linewood range greatly contributes to the dispersion of wood flour or of vegetable fillers of various kinds within the polyolefinic matrices (PP or PE), greatly enhancing the aesthetic and mechanical properties of the finished product. Compotex is a range of products grafted with maleic anhydride specifically developed for the textile industry. Specifically, it is a thermo-adhesive material for the coupling and adhesion of chemically diverse natural and synthetic substrates. Compoweb is a special range of products grafted with maleic anhydride specifically developed for the textile sector. Specifically, it is a thermo-adhesive support (web) for the coupling and adhesion of chemically diverse substrates in the textile industry. 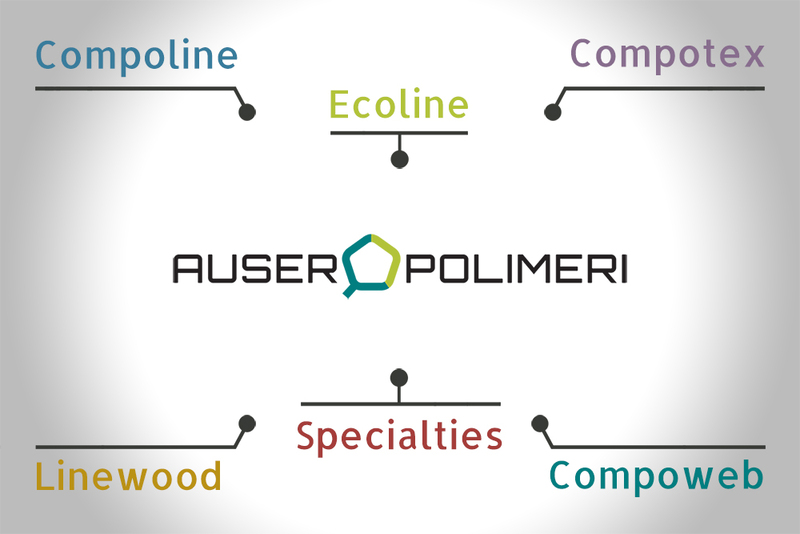 Auserpolimeri has a range of new materials specifically designed for innovative technological solutions, perfected by means of constantly collaborating with its clients.